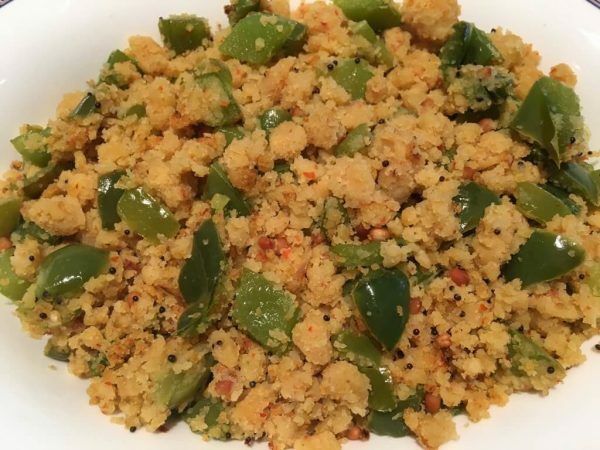 Paruppusili is a side dish that combines dal that's been soaked, ground into a batter, steamed, and then scrambled with a vegetable. Paruppu means dal, and to usili means to scramble. This version is a Tamil version, a star in many south Indian Brahmin weddings and functions, along with more kozhambu (yogurt based gravy). I have used green peppers for the vegetable in this recipe. Traditional vegetables used are green beans, long beans, cluster beans. Broccoli is popular with my son. You can make it with cauliflower too. The process is a bit involved, but it's absolutely worth it. This dish packs a protein and vitamin punch with the dal and the vegetable. 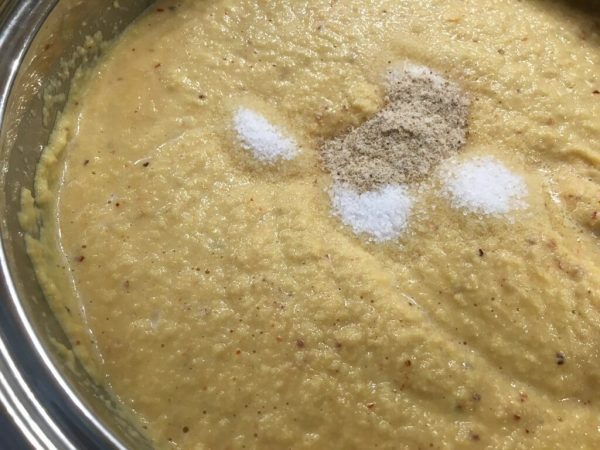 The process involves soaking the dal for a couple of hours, blending into a batter, steaming, and then crumbling it with sautéed vegetable. But not to worry, this recipe will teach you a hack that would cut down the time to a mere 30 minutes, from start to finish, with a little bit of prep work done ahead. Grind into a batter. I like it smooth for my family, as it's easier on the stomach. 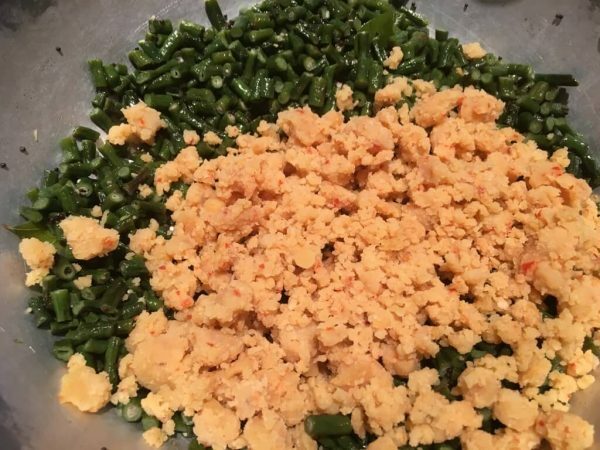 You may grind it to a slightly coarse texture too. Add salt and hing and mix well. While the dal idlis are steaming, prep the vegetable - diced and ready to go. 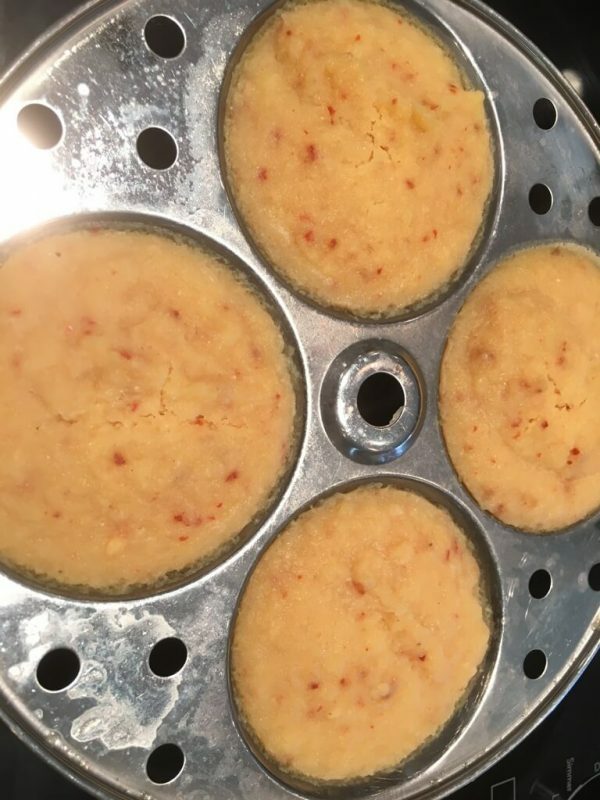 Remove the dal idlis from the mold, and let cool. When completely cool, keep about 4-6 for cooking and save the rest in ziplock bags, 4 per bag. To serve two people, about 4 idlis are sufficient. With this step, 75% of the work is done for your next time. Mix well, and cook for a few minutes. At this point, traditionally, more oil is added, and the mixture is fried until crisped and yummy! It's totally up to you how much oil and how long you cook. I personally prefer ours to be a little soft. 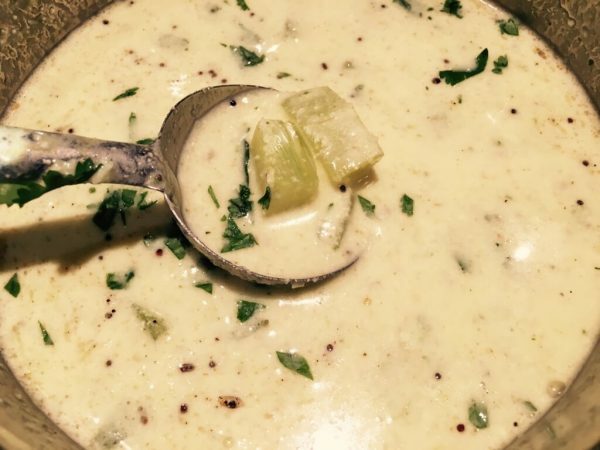 Serve with hot steamed rice, and more kozhambu or rasam. Invest a little bit of extra time once in two months or so and save soaking, grinding, steaming time for the next few times you make it! You'll literally shave off 2 hours and 30 minutes in making it, by spending an extra 15 minutes or so steaming extra idlis. Totally worth it! 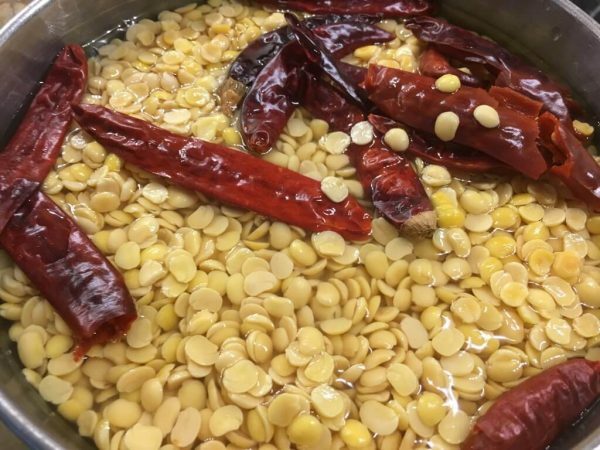 Double or triple the soaking dal and chilies. You will get roughly 16-20 idlis. Use what you need, and freeze the rest in ziplock/freezer bags. 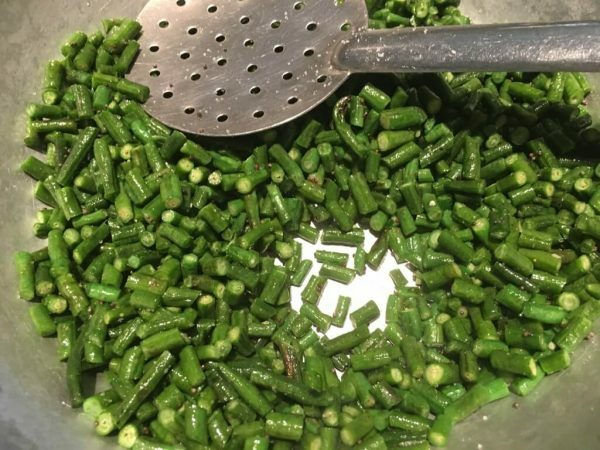 Comes in super handy when you want to make a healthy side dish in a hurry. Defrost, add a vegetable, and you'll have hot steaming paruppu usili in roughly 30 minutes. This is a great side dish for hot steamed rice and more kozhambu, or rice and rasam.